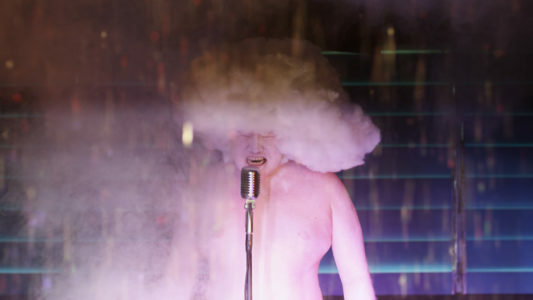 A plethora of historical references dramatised by musical scores and allegorical lighting make up the pillars of Ho Tzu Nyen’s (b. 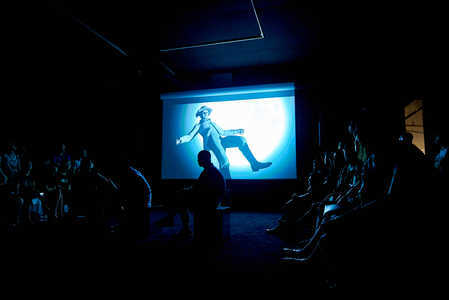 1976, Singapore) complex practice that primarily constitutes video and installation. Features in their own right, each film unravels unspoken layers of Southeast Asian history whilst equally pointing to our own personal unknowns. 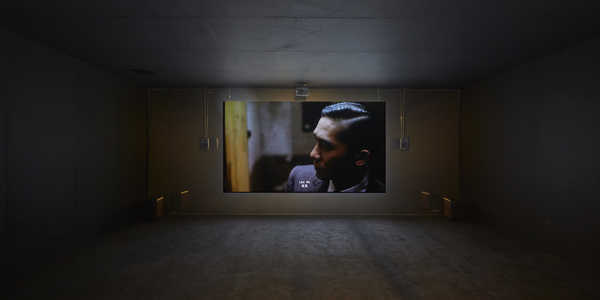 Permeating Ho’s work is a pervasive sense of ambiguity, theatricality and unease, augmented by a series of deliberate literary, art historical and musical references. Centrally, Ho charges the viewer emotionally and physically to deliver a multisensory consideration of what we know and crucially, do not. 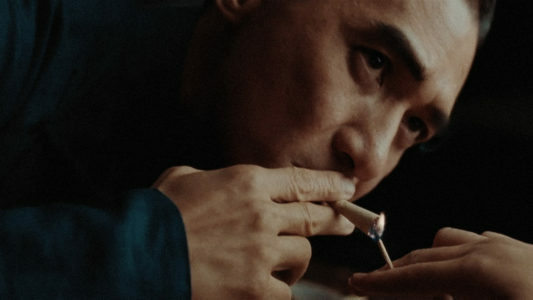 At the heart of Ho’s films is an observation of history; more specifically, a weaving of fact and myth to unravel and reveal what one is told versus what one believes to know, interprets and remembers. Ho’s work titters on the edge of fact and artifice, tending in scope from research-driven documentative exposure to the fantastical. 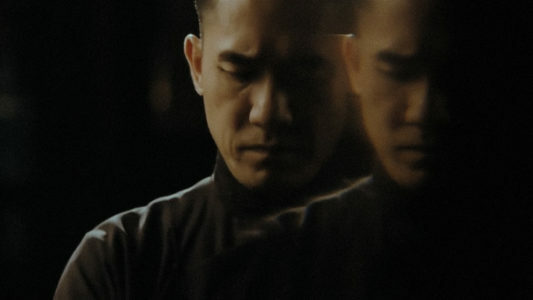 ‘The Nameless’ (2014), for example, follows the story of a man named Lai Teck, one of the 50 known aliases of the Secretary-General of the Malayan Communist party from 1939 to 1949. His exact name has never been proven, nor his background or ultimate demise, but evidence suggests that he was born in Vietnam to a Chinese mother and served as a spy to both the French and British. 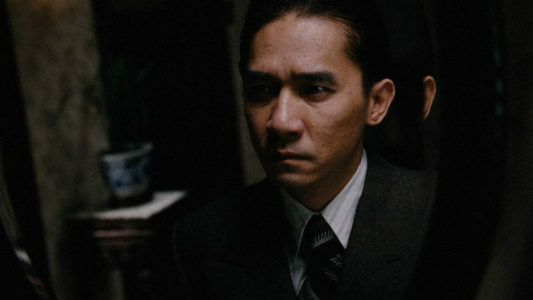 Lai climbed the ranks of the Malayan Communist party by acting as an informant to sabotage his adversaries, later escaping execution by the Japanese by pledging allegiance to their intelligence forces. Ho recounts this tale through the use of existing Hong Kong film footage which he then manipulated, using the fictional to cast light on the untold, bringing to life the characters hidden under the carpet of canonised history. A further recent project engaging histories, their investigation and presentation, is the recent multimedia project ‘The Critical Dictionary of Southeast Asia, Vol. 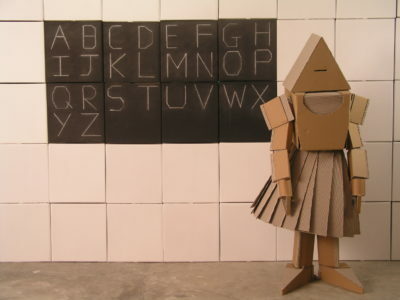 1: G for Ghost(writers)’ developed during the course of a residency at Asia Art Archive. Starting with the question of what unites the region called Southeast Asia, Ho created a ‘dictionary’ comprising narratives of shape-shifting and amorphous characters, ideas, and genres—one of which is Gene Hanrahan, who supposedly wrote and edited books of a wide ideological span, ranging from The Communist Struggle in Malaya to The Wild Years: Ernest Hemingway and 50 Great Oriental Stories. 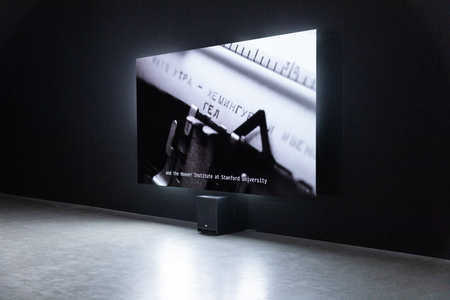 Presented as an installation including an internet dictionary, 16 books written and edited by Hanrahan, and Ho’s film about the figure of the writer called The Name, the work invites visitors and readers to think about questions of authorship, authenticity, and authority. Extending into the realm of myth, Ho draws on nature and extraneous beings to build a reconsideration of the region’s pre-colonial past. 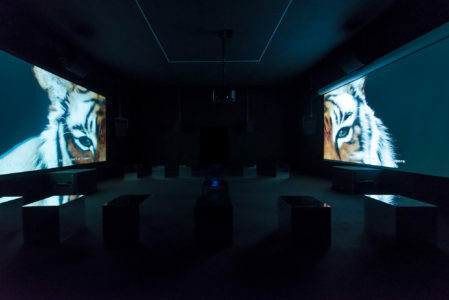 Consider ‘2 or 3 Tigers’ (2015) in which the focus slowly pans out to reveal the previously ambiguous figure of a tiger alongside that of a human being. 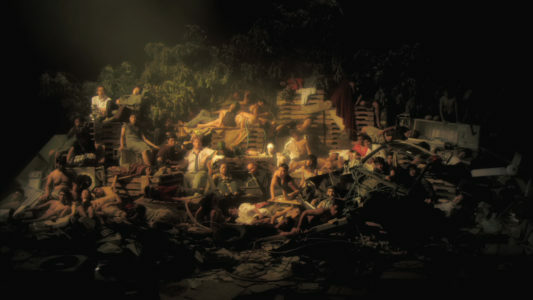 Or ‘Utama—Every Name in History is I’ (2003), composed of a video and twenty portrait paintings, which cumulatively deliver images of a quixotic pursuit of the distant past. 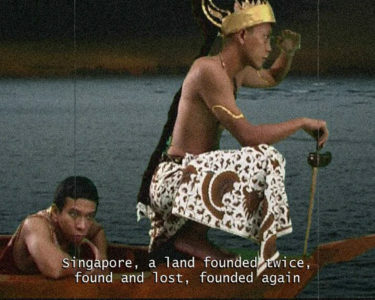 Depicting the 14th-century figure of Sang Nila Utama, a discoverer of the island nation, the video weaves apocryphal relationships with other historical regional leaders to boost the legitimacy of the founding narrative and collapses time by employing the same person to play other explorers including Christopher Columbus, Vasco da Gama, Zheng He, and Singapore’s British coloniser Sir Thomas Stamford Raffles. 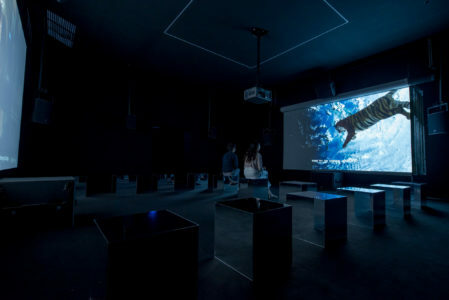 Through Ho’s films, the viewer is presented with optional pasts, that vested in Singapore’s colonial and pre-colonial history, rest on the precipice of myth, fantasy and fact. Beyond multi-century historical reflections, Ho casts light on the present whilst engaging the tools of art history and musical scripture to mount a momentous consideration of the world we live in. 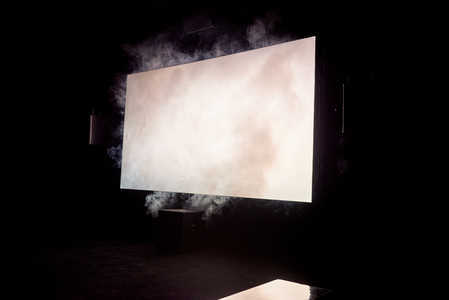 ‘The Cloud of Unknowing’ (2011), for example, an epic work presented by Ho for his representation of Singapore at the 54th Venice Biennale, explores the expansive subject of the representation of the elusive and amorphous cloud. 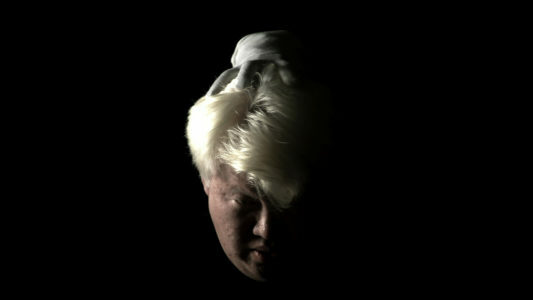 Navigating between fantastical contemporary characters as well as their settings, Ho creates an eery and engaging work inspired by philosopher Hubert Damisch’s thesis on the form’s aesthetics and symbolism – A Theory of /Cloud/: Toward a History of Painting – first published in French in 1972. 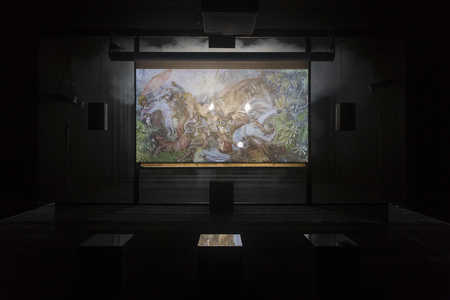 Incorporating a set of eight vignettes, each centred on a character’s representation of the cloud, Ho incarnates anthropomorphically how this ephemeral element is visualised and expressed by significant Western European masters including Caravaggio, A plethora of historical references dramatised by musical scores and allegorical lighting make up the pillars of Ho Tzu Nyen’s complex practice that primarily constitutes video and installation. Features in their own right, each film unravels unspoken layers of Southeast Asian history whilst equally pointing to our own personal unknowns. 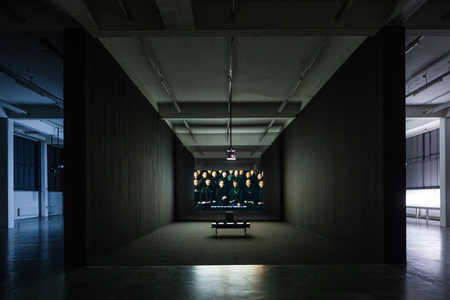 Permeating Ho’s work is a pervasive sense of ambiguity, theatricality and unease, augmented by a series of deliberate literary, art historical and musical references. Centrally, Ho charges the viewer emotionally and physically to deliver a multisensory consideration of what we know and crucially, do not. 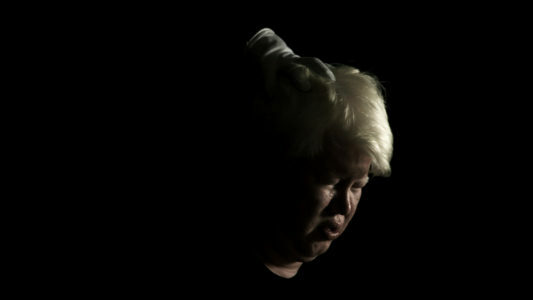 Accompanying the visual complexity of Ho’s narrative is his work’s continuous relationship with music. The auditory scores, often engaging various composers, range from punk and metallic to classical. 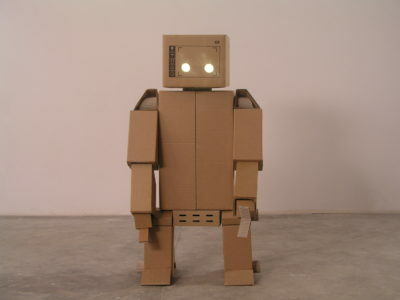 The level of sonorific association with the content ranges; for ‘EARTH’ (2009), for example, the music serves as an auditory stimulus for the filmic visual that constitutes human bodies, seemingly piled up in the wake of an unspecified catastrophe, along with a tangle of wires and cables, stacks of wooden pallets, cardboard boxes, dead fish and fluorescent light tubes. A direct reference to Caravaggio’s The Incredulity of Saint Thomas (1601–02) and his technical use of ‘chiaroscuro’, the work is brought to life by the score that coincides with the tentative ruminations of the emerging visual elements. 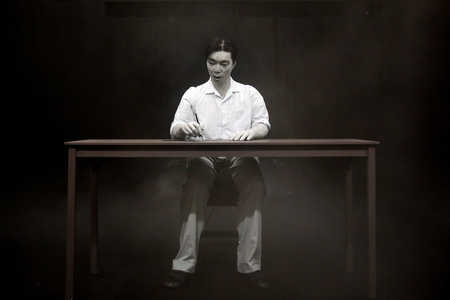 Contrarily, ‘Gould’ (2009-2013) serves as a direct reference to the famed maestro pianist Glenn Gould, and depicts a man playing the piano to extreme velocity while his head bobs, a motion that is eventually revealed as being dictated by a guiding white-gloved hand. 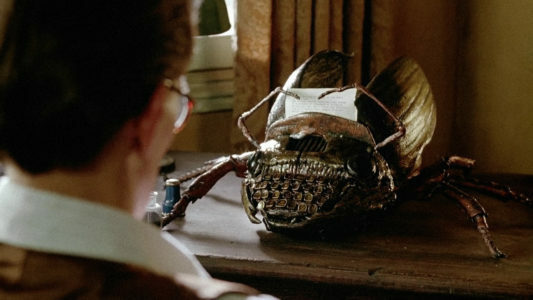 A reference to control, puppetry, on an individual and institutional level, the istoria of each film is accentuated by outworldly auditory addition. Ultimately, Ho’s work may be described as a ‘dense constellation of particles—constantly shifting shape’, giving way to new layers, discoveries – elements of interpretation. 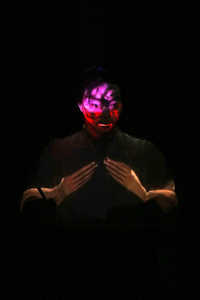 A rich fabric of references, historical, art historical, technically and musically, Ho’s work is one of multiple engagements, readings and experiences. 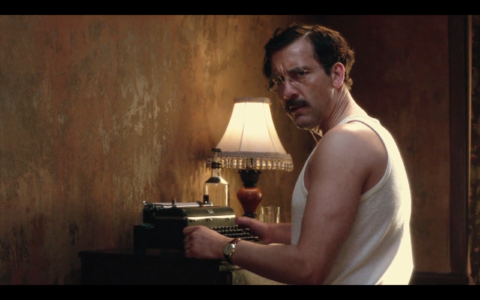 Careful and deliberate, his practice sits on the cusp of investigative research, the work of a true scholar, and that of a proficient as well as articulate narrator. As described by Ho himself, however, “spotting references is never a crucial thing in my work. I always try to produce work for an imaginary spectator who might have zero understanding of these references” – a comment that reminds us that Ho’s practice is not about projection of what we know, it is about opening the door onto something we did not. 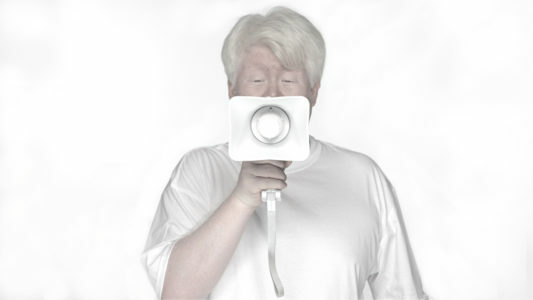 Ho Tzu Nyen has been widely exhibited with solo exhibitions at Kunstverein, Hamburg (2018); McaM, Shanghai (2018); TPAM, Yokohama (2018); Asia Art Archive, Hong Kong (2017); Mori Art Museum, Tokyo (2012); Artspace, Sydney (2011); Contemporary Art Centre of South Australia, Adelaide (2010). 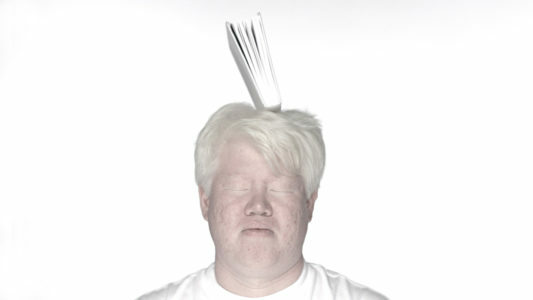 Furthermore, he represented Singapore at the 54th Venice Biennale (2011). Select group exhibitions include Gwangju Biennale, Gwangju (2018); National Gallery, Singapore (2018); Dhaka Art Summit, Dhaka (2018); Haus der Kulturen der Welt, Berlin (2017); Guggenheim, New York (2016); QAGOMA, Brisbane (2016); Guggenheim Museum, Bilbao (2015); Guggenheim Museum, New York (2013); Times Museum, Guangzhou, China (2013); Witte de With, Rotterdam (2012). He has participated in numerous international film festivals including the Sundance Film Festival in Park City, Utah (2012); 66th Venice International Film Festival (2009); 41st Directors’ Fortnight at the Cannes International Film Festival in France (2009). 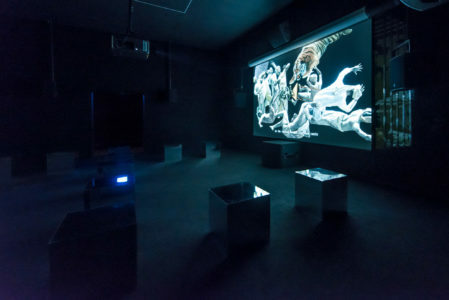 Ho has furthermore held a residency at Asia Art Archive, Hong Kong (2017).